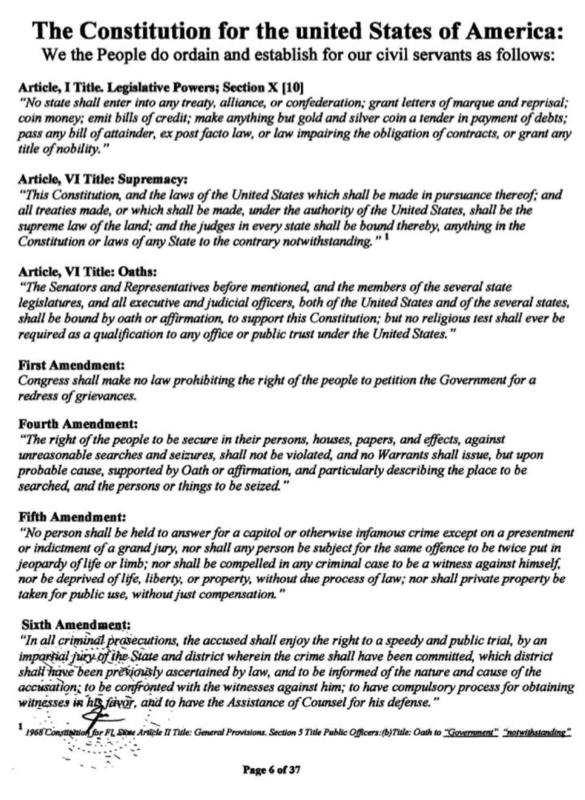 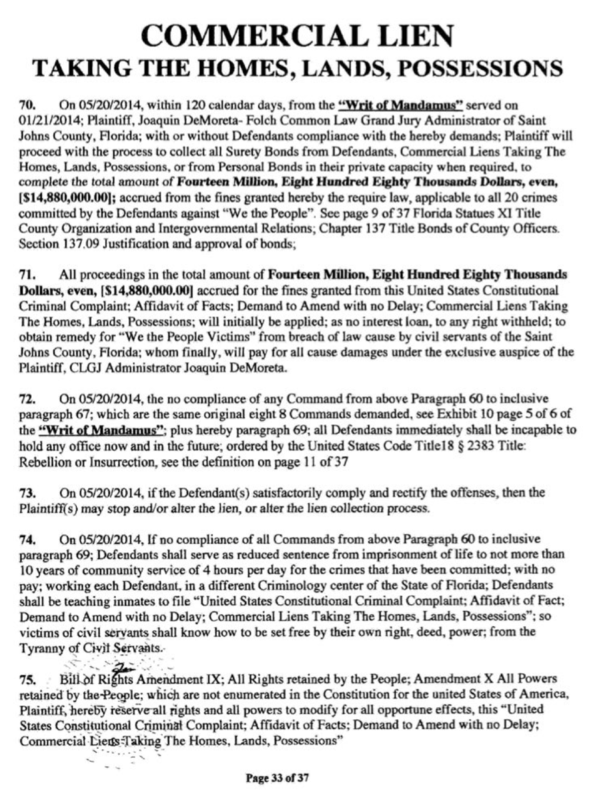 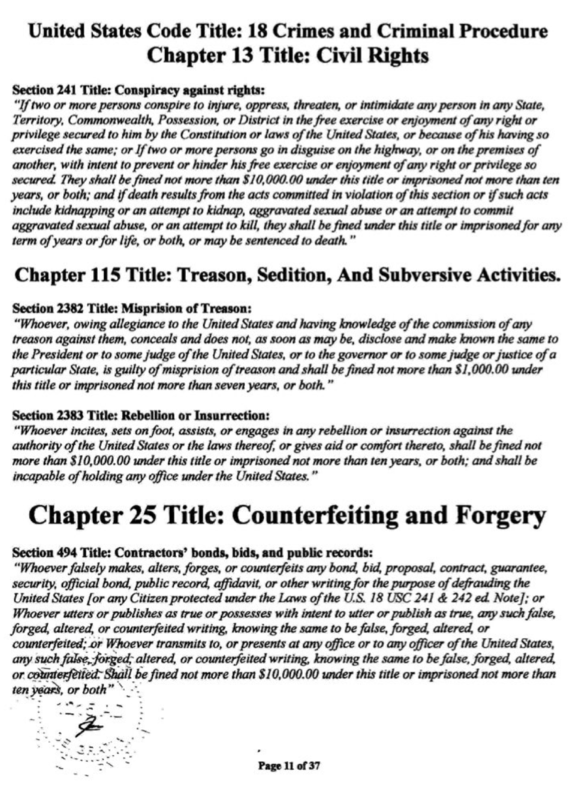 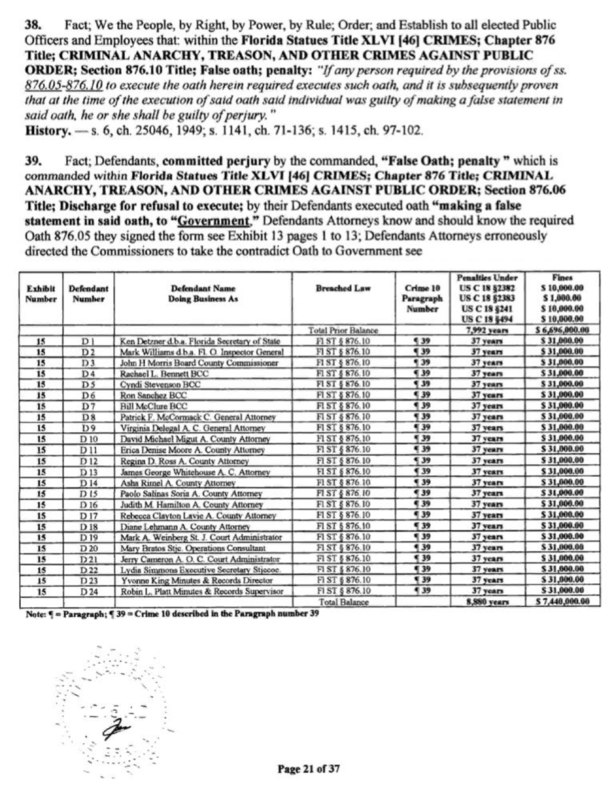 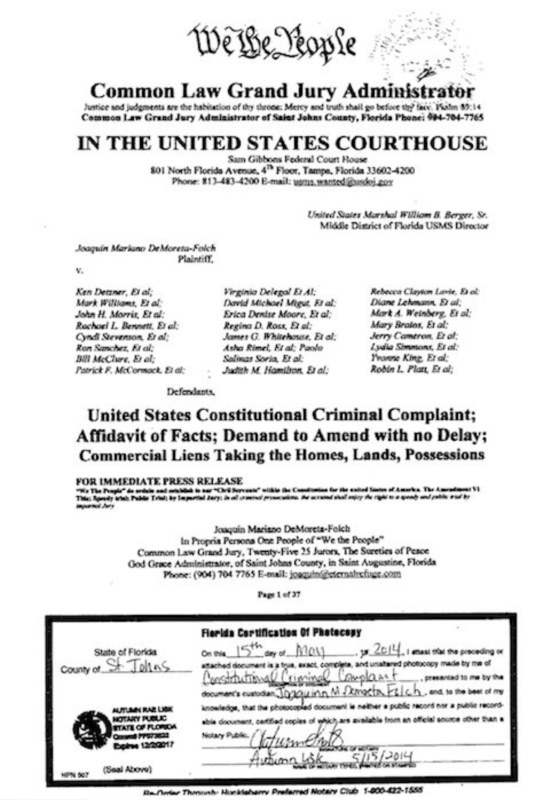 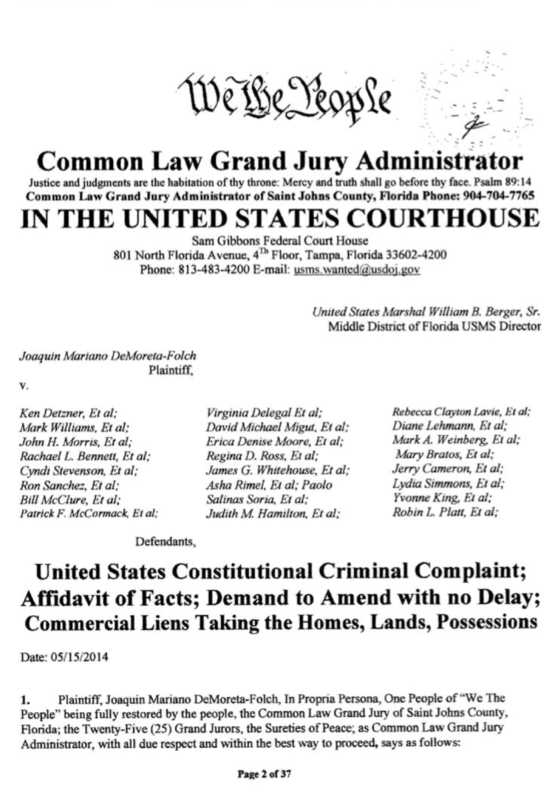 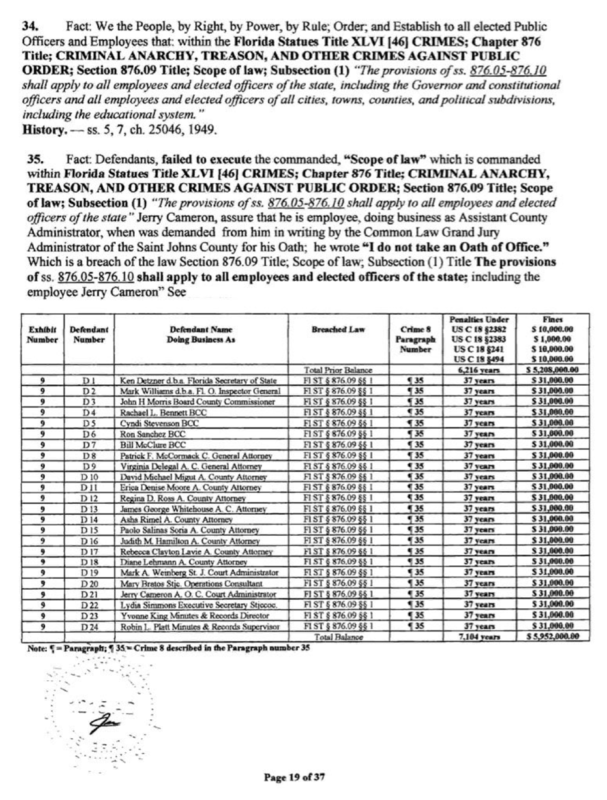 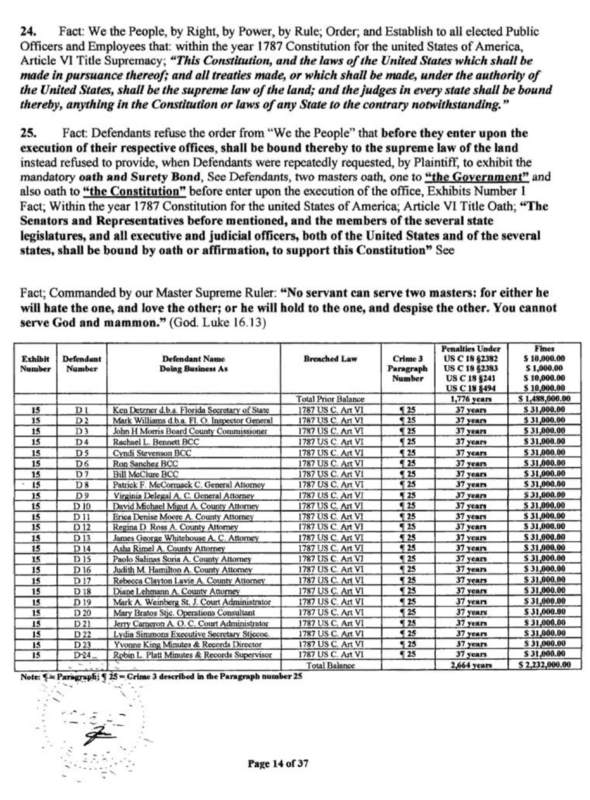 05/15/2014 United States Constitutional Criminal Complaint; Affidavit of Facts; Demand to Amend with no Delay; Claims of Distrain [RICO] Taking the Homes, Lands, Chattel Possessions. 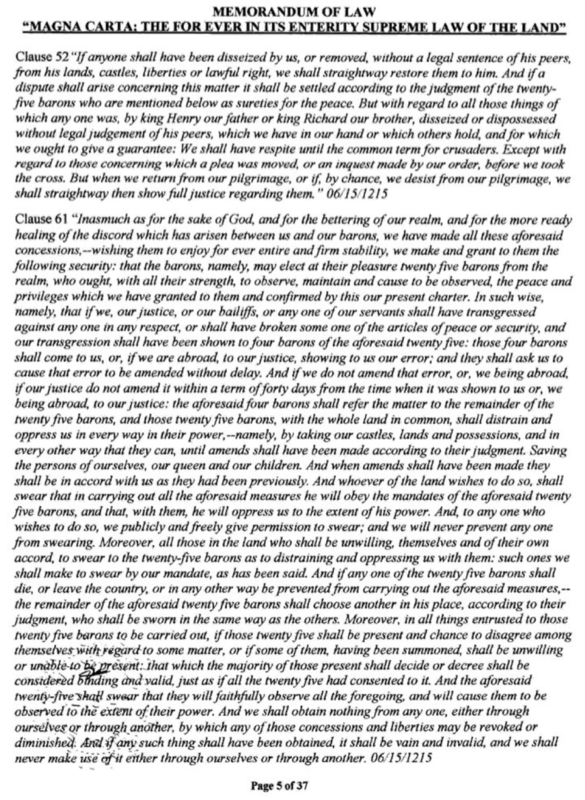 Claims of Distrain [RICO] Taking the Homes, Lands, Chattel Possessions. 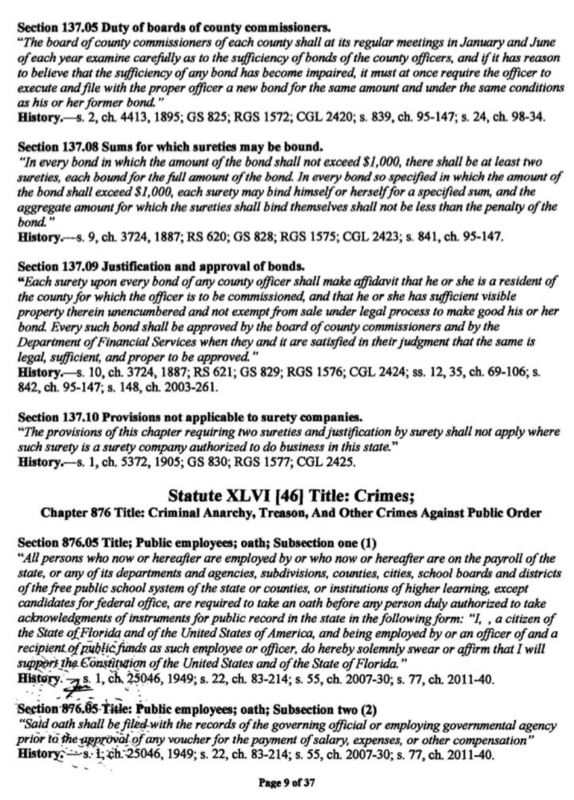 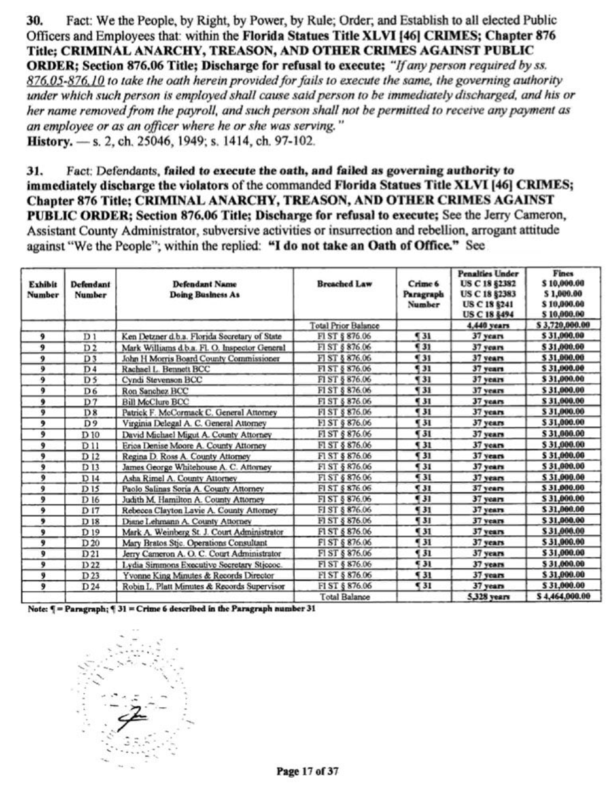 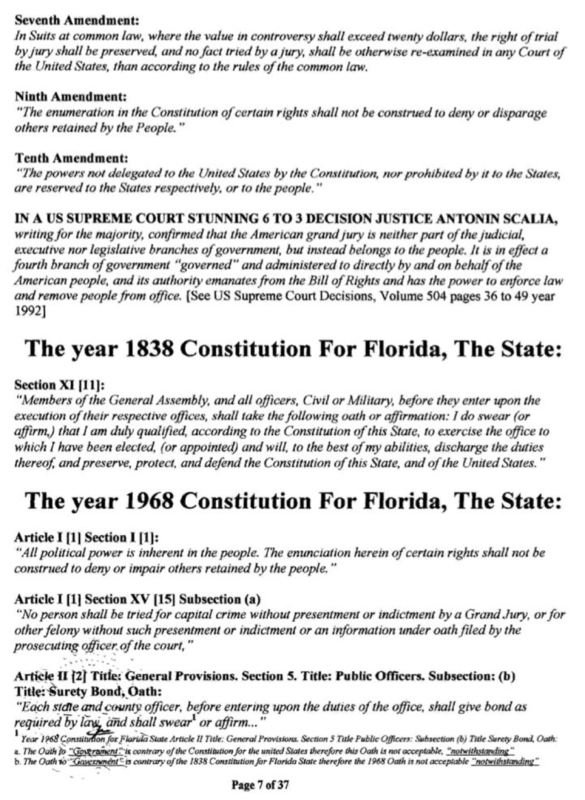 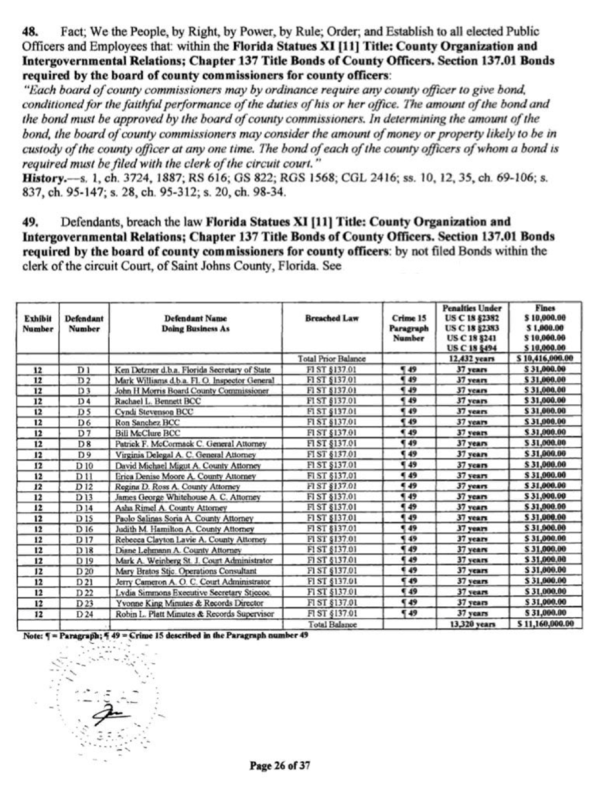 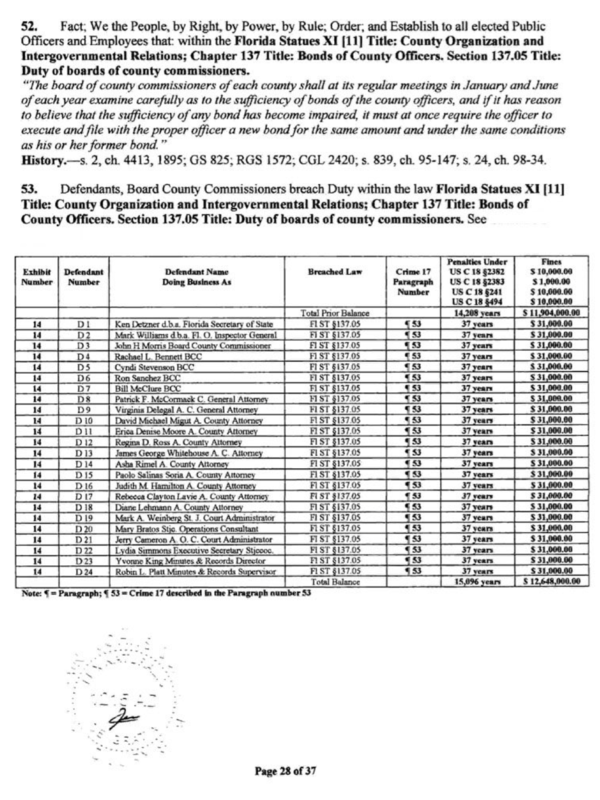 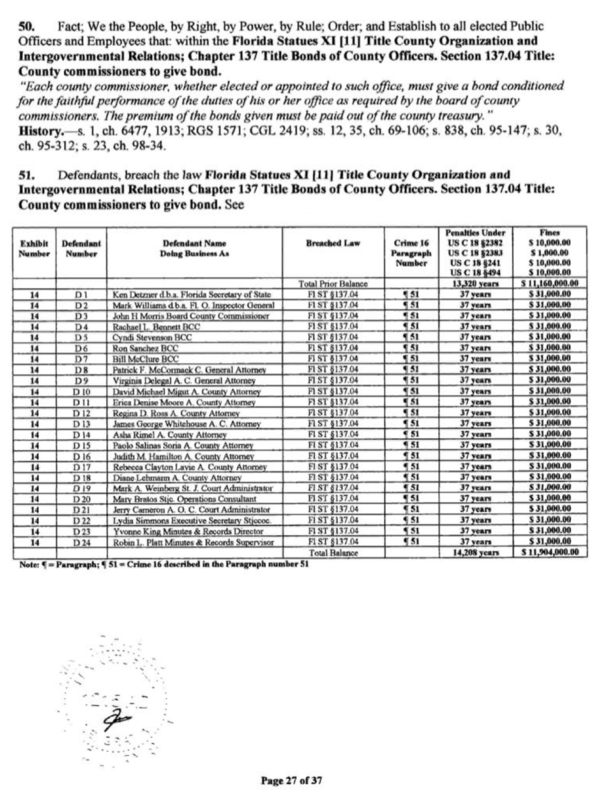 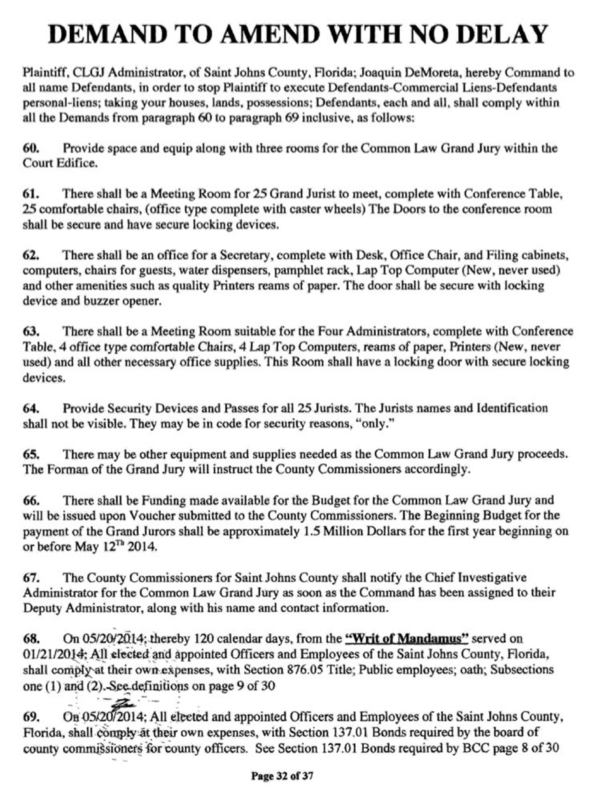 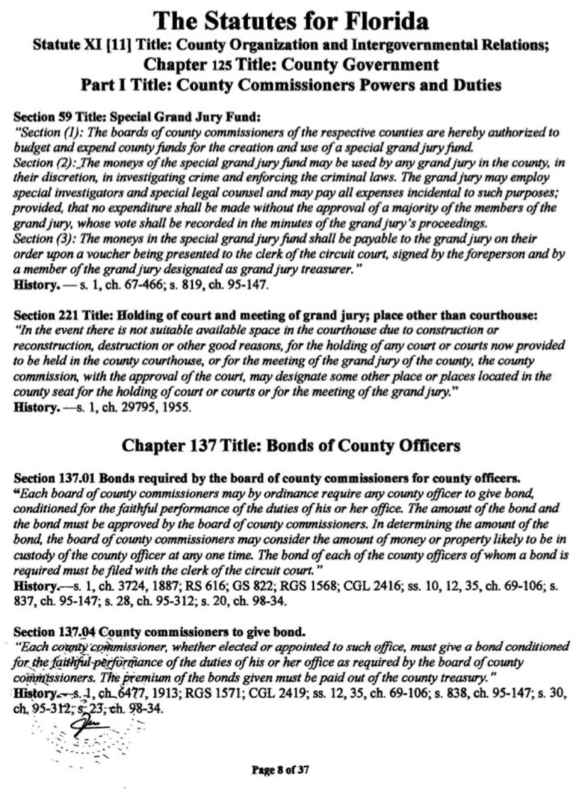 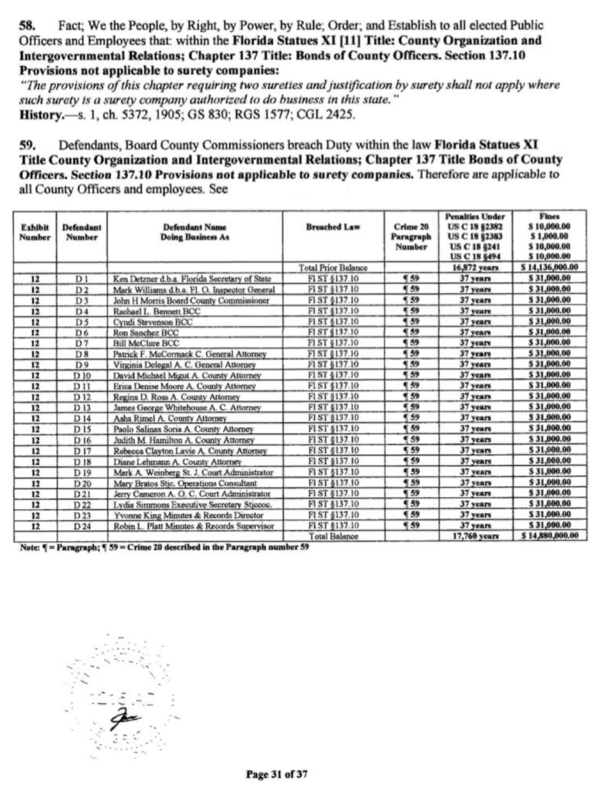 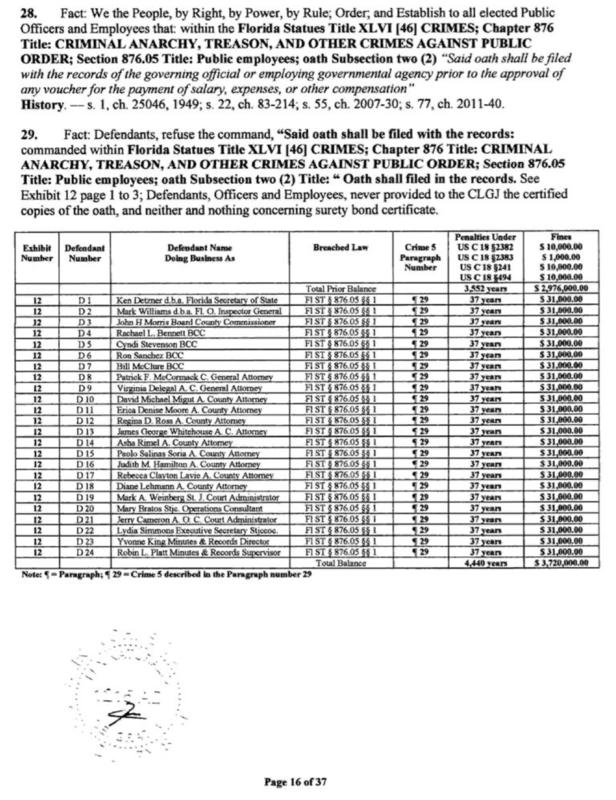 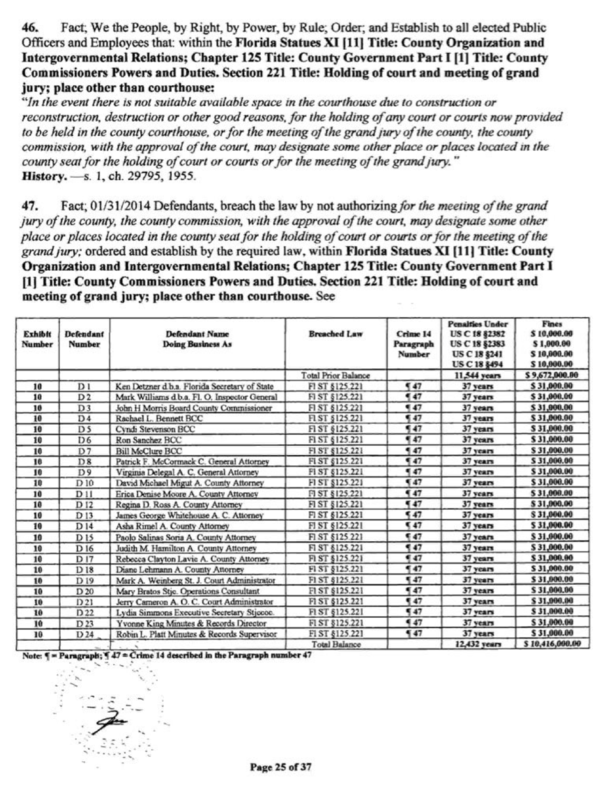 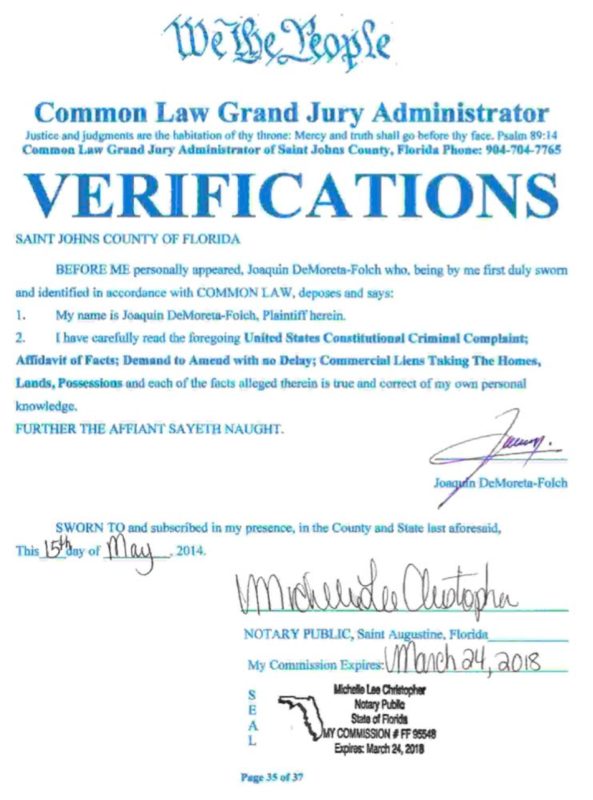 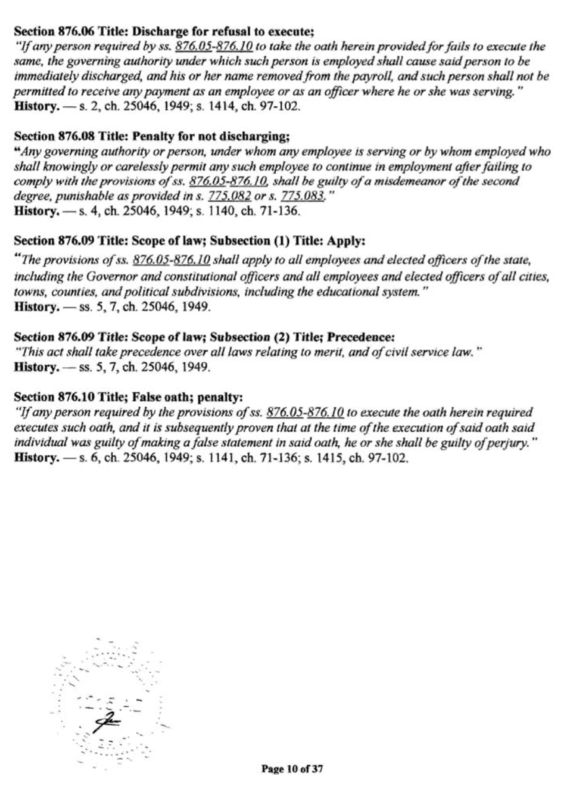 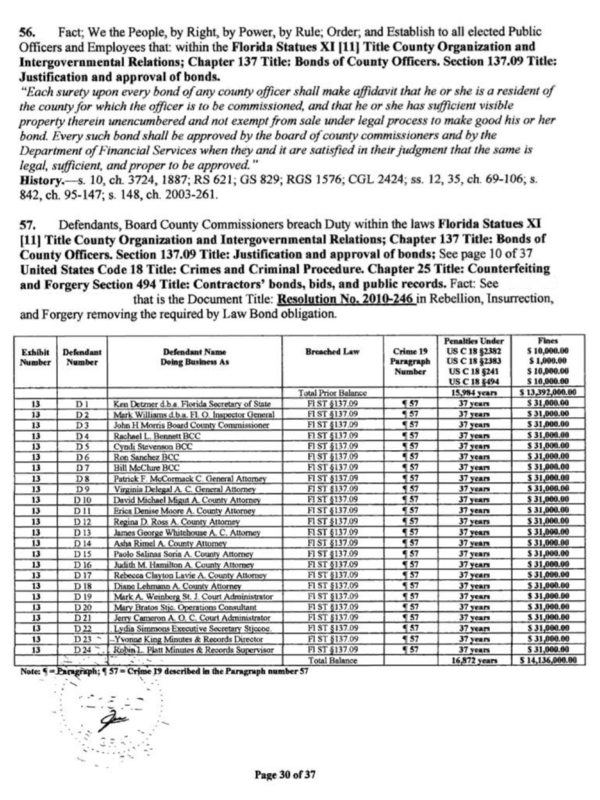 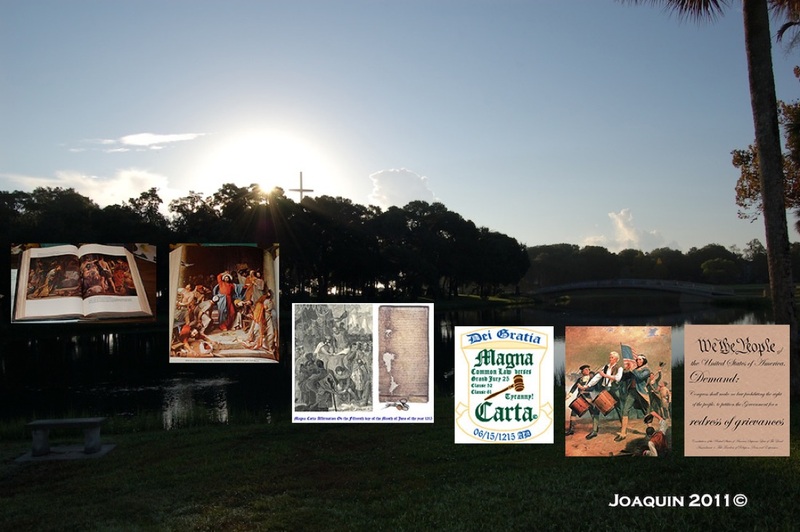 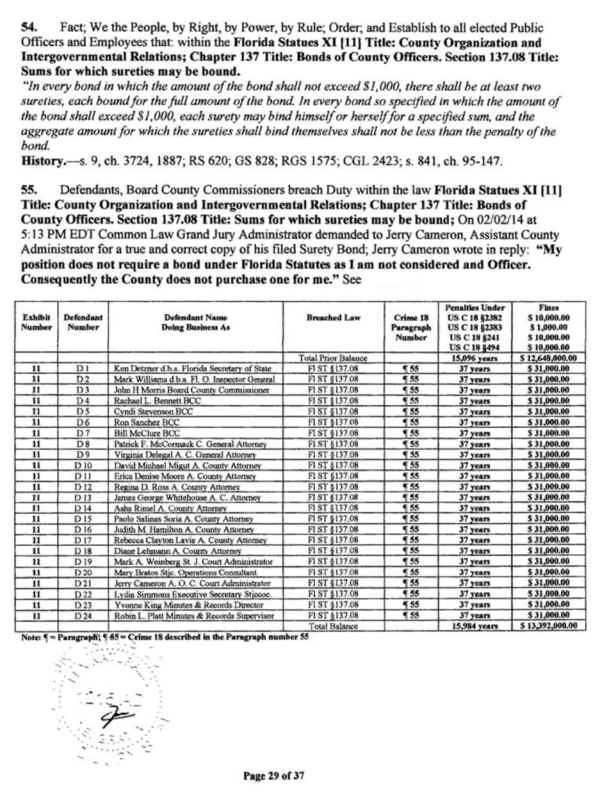 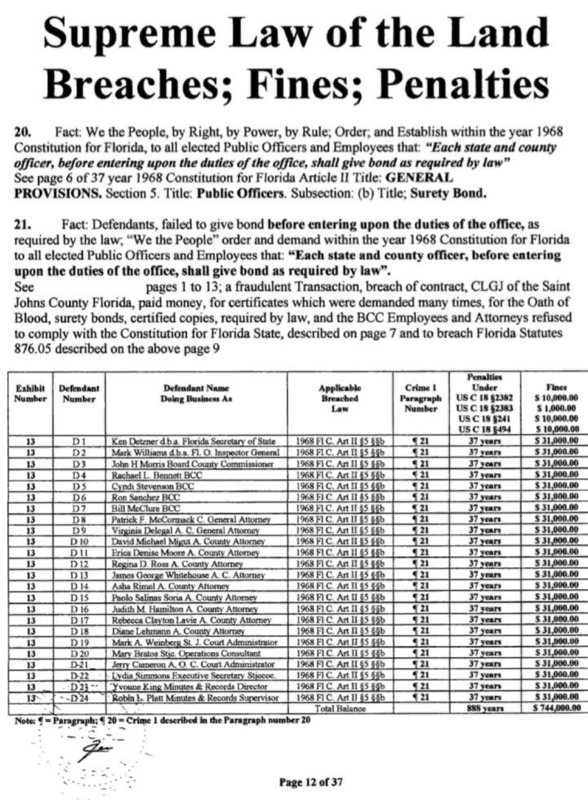 On 01/21/2014 at 9:30 AM EDT, being fully restored by the People of Saint Johns County, Florida., the Common Law Grand Jury Investigative Administrators thereby command the Saint Johns County Commissioners the following directive. 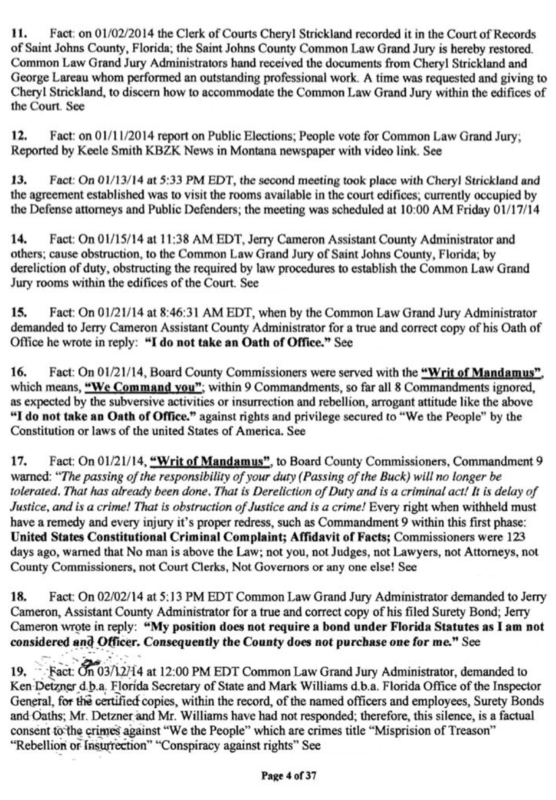 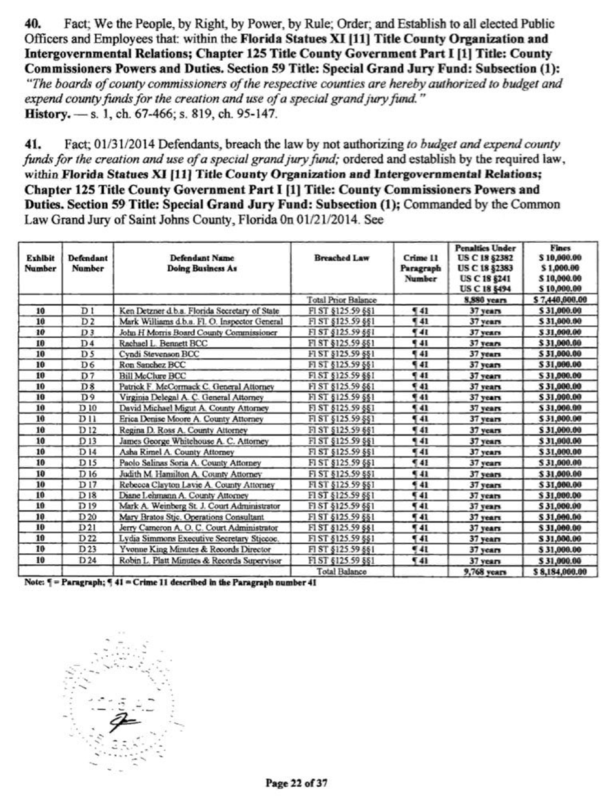 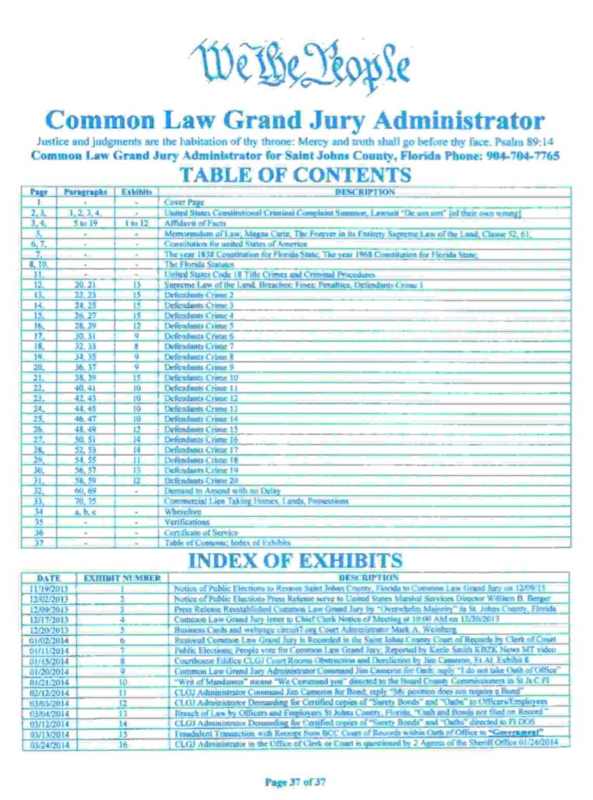 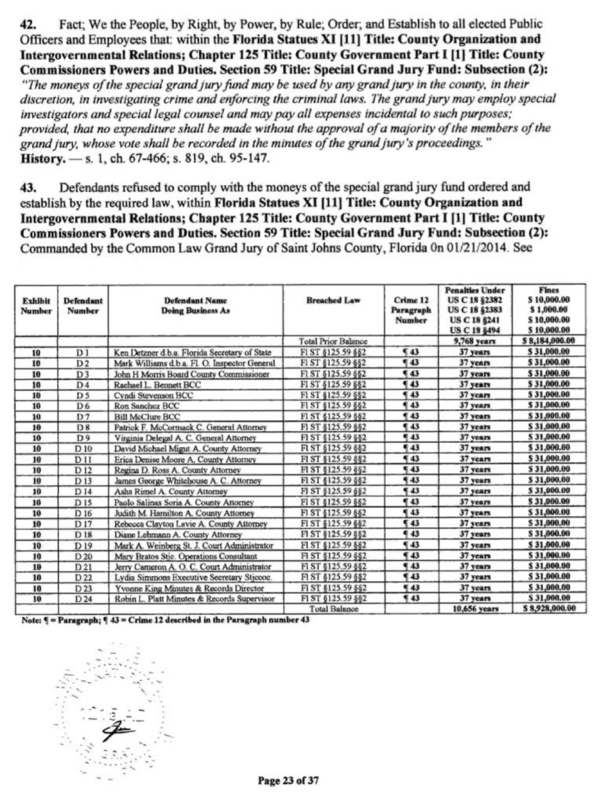 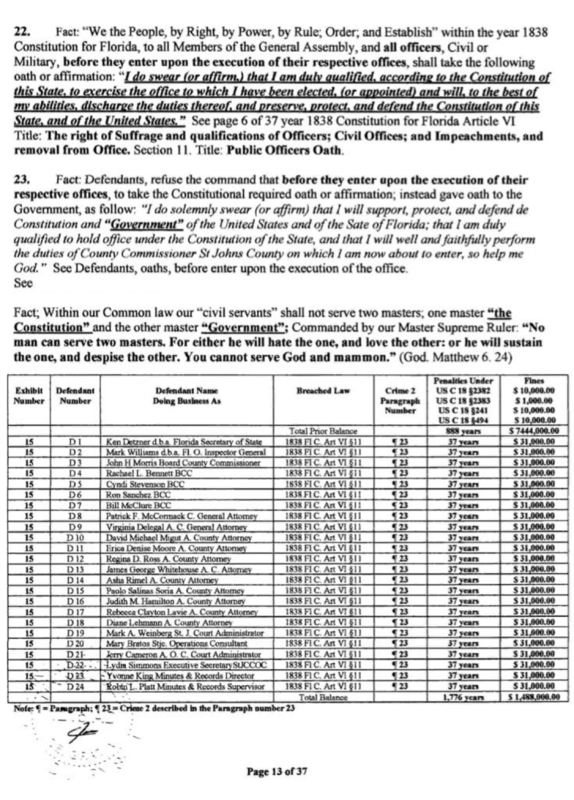 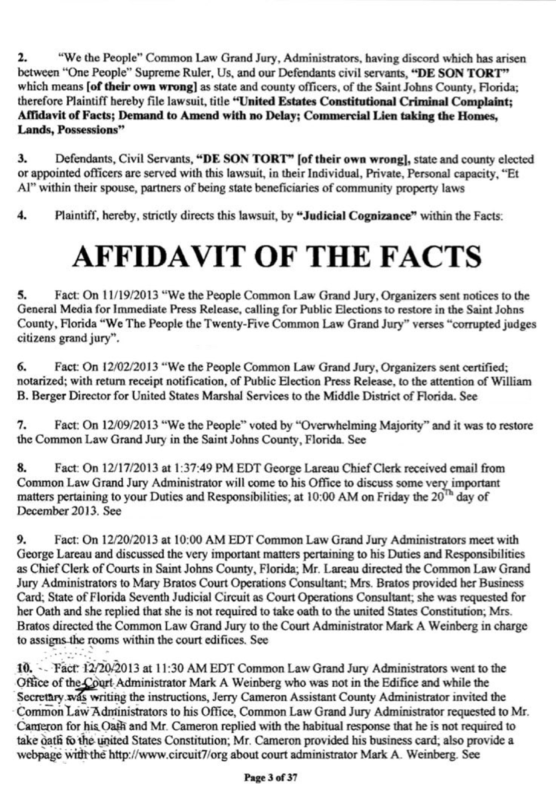 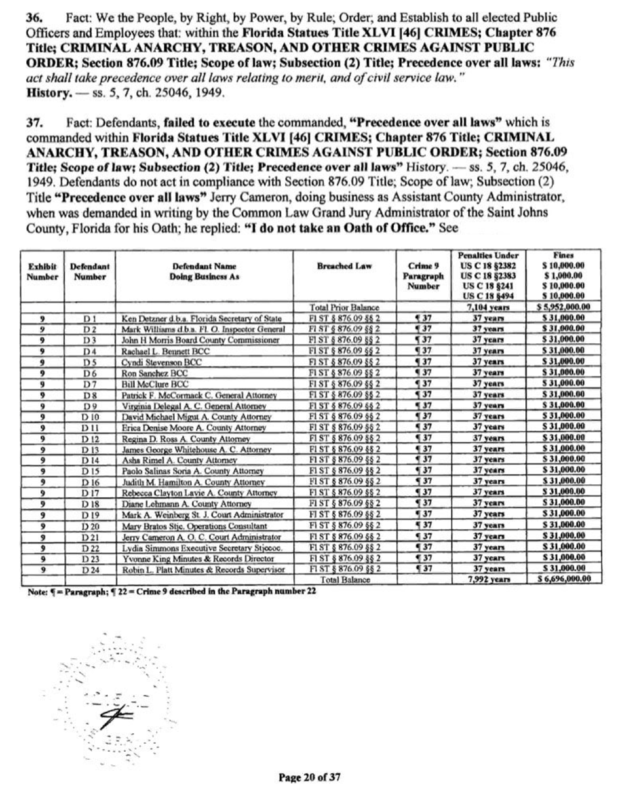 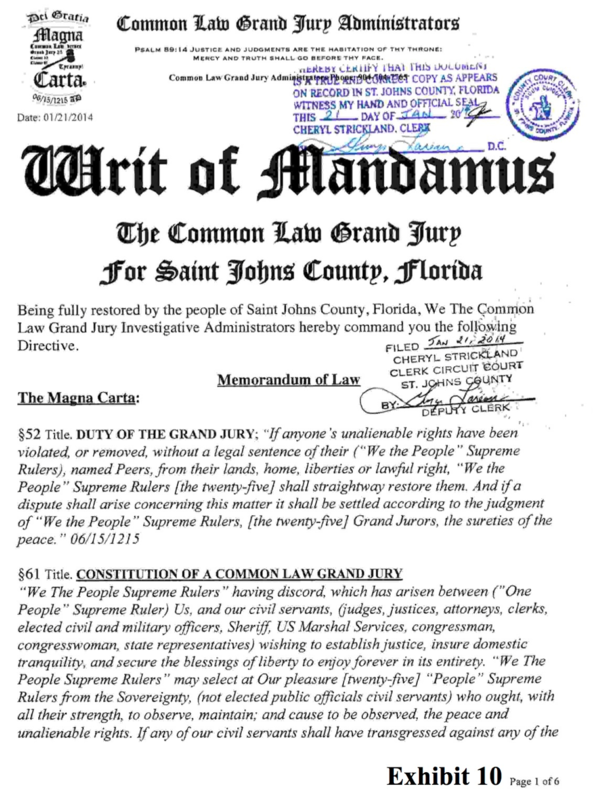 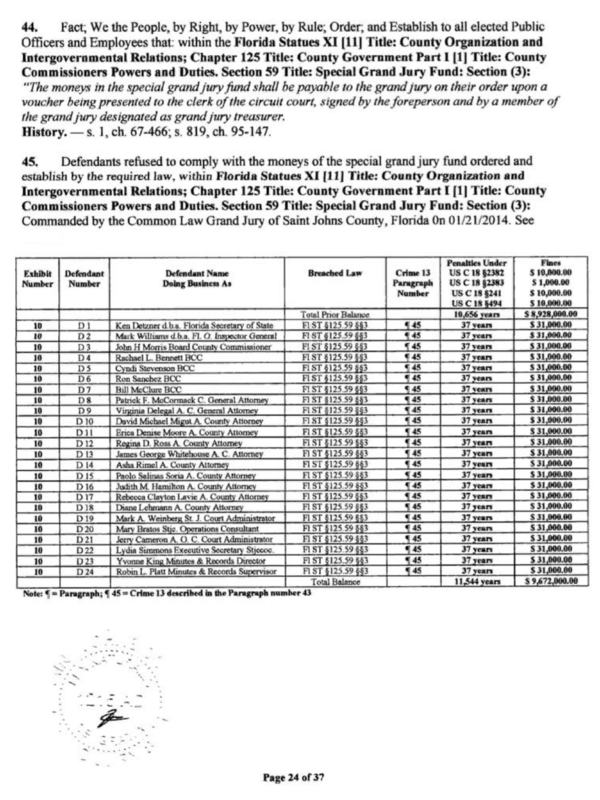 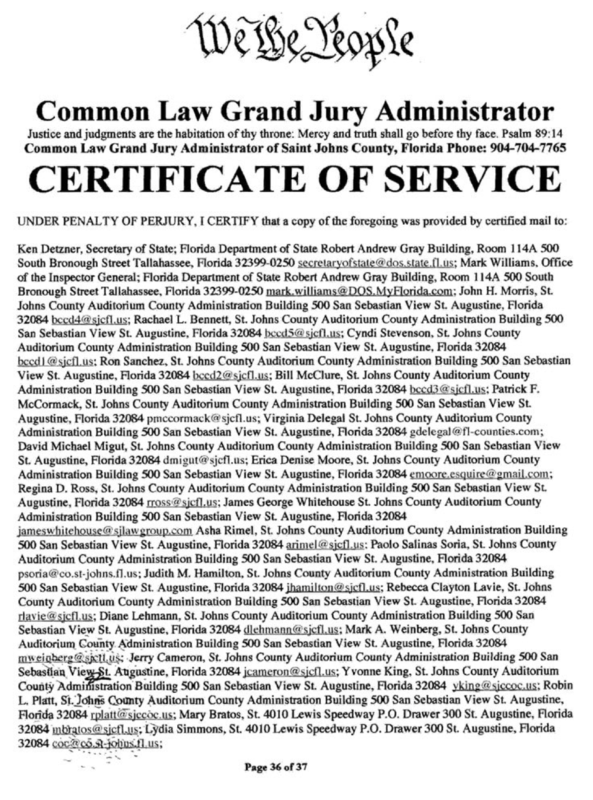 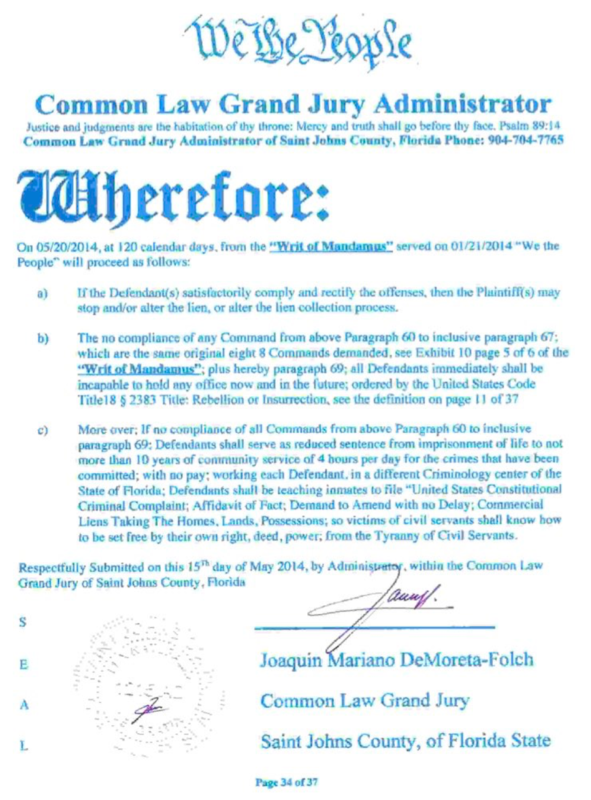 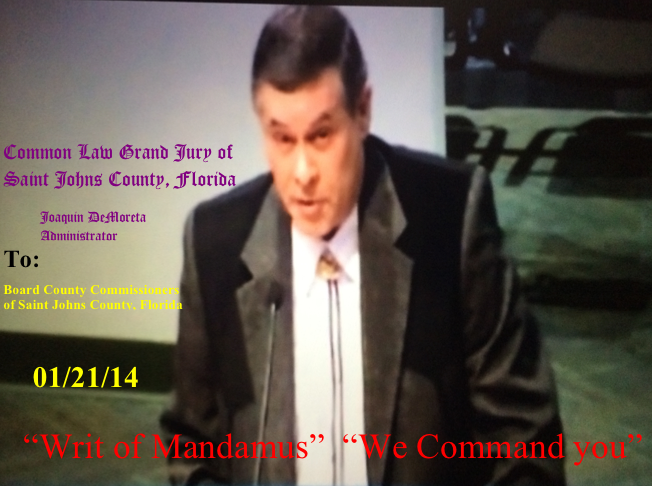 Common Law Grand Jury OF SAINT JOHNS COUNTY, FL.